Murder is, by its nature, a secretive and deceptive business. Historically, it is widely accepted that some of England's most prolific murderers and murderesses have killed far more people than they were ever prosecuted for. 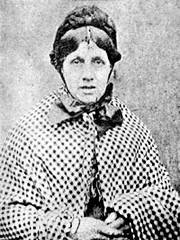 Let's take Mary Ann Cotton, for example, who is generally regarded as the Victorian era's first serial killer. She was executed in 1873 for the murder of her stepson, Frederick. But, it is widely believed that she killed up to 21 people. Of these, there is strong evidence to show that she was responsible for the deaths of 11 children, three husbands, one lover and her own mother, though she was never charged with these offences. But after researching the criminal career of Sarah Chesham for an upcoming book chapter (more details to follow soon), I would dispute Cotton's status as England's first serial killer. Like Cotton, Chesham was found guilty of one murder - that of her husband, Richard - and was executed in 1851. Five years earlier, she escaped the gallows after being acquitted for the murders of her sons, James and Joseph, who were poisoned with arsenic. However, all of the evidence points to her guilt but, just like Mary Ann Cotton, we will never know the extent of her involvement. 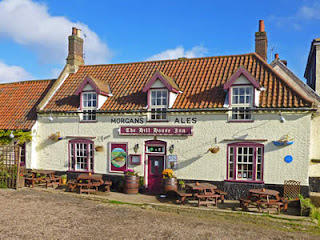 When Jonathan Balls died on 20 April 1846 , the village of Happisburgh in Norfolk breathed a communal sigh of relief. Balls had few friends in the community and was widely regarded as being a man of "peculiar habits and unamiable manners." In his youth, he had been accused of a number of crimes, including arson and theft, but had escape prosecution every time, owing to a lack of evidence. At the time of his death, Balls was in his 82nd year and his manner of dying did not catch the attention of the local authorities, perhaps because of his advanced age. But the people of Happisburgh reacted in a very different manner and not just because they disliked the old man. His was the latest in a long string of Balls' family deaths: his granddaughter, Ann Elizabeth Pestle, had died just three days before Jonathan; his wife, Elizabeth, had died six months earlier, in December 1845; and his grandson, Samuel, died in September 1845. All of these family members, including Jonathan, had died very suddenly and all had perished after suffering a bout of intense vomiting and pain in the chest. Locals petitioned the county coroner, Mr. Pilgrim, to investigate these deaths but Pilgrim ignored them. Having recently received a circular from local magistrates on the issue of inquests, he had to think very carefully about investigating a death because of the associated costs. But public feeling in Happisburgh remained strong: Pilgrim received two more petitions and, finally, he relented. In May 1846, he ordered the exhumation of the bodies of Jonathan Balls and Ann Elizabeth Pestle for the purposes of conducting an inquest. Locals petitioned the county coroner, Mr. Pilgrim, to investigate these deaths but Pilgrim ignored them. Having recently received a circular from local magistrates on the issue of inquests, he had to think very carefully about investigating a death because of the associated costs. But public feeling in Happisburgh remained strong: Pilgrim received two more petitions and, finally, he relented. In May 1846, he ordered the exhumation of the bodies of Jonathan Balls and Ann Elizabeth Pestle for the purposes of an conducting an inquest. The inquest began at Hill House (see above) on 11 May 1846 and it was immediately revealed that both parties had died as a result of arsenic poisoning. In fact, according to one surgeon, there was enough arsenic in their stomachs to poison the whole parish, let alone a man and a child. Ann Pestle, Balls' daughter and Ann Elizabeth's mother, testified that she had no idea where the arsenic might have come from and had no reason to suspect that her father would kill her own child. In fact, he had shown kindness to her daughter and had even helped out with feeding her. The inquest was adjourned pending a further investigation. But, on this next meeting, Balls' son-in-law stated that his wife remembered buying arsenic for her father when she was a teenager. Another woman, Phoebe Ann Neave, told the court that Balls had asked her to write a letter to a local druggist requesting a large quantity of arsenic. 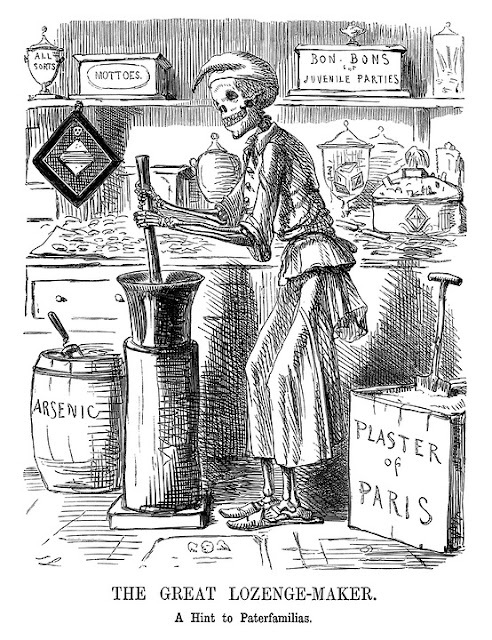 Neave was reluctant to help him because she knew that people used arsenic for "bad purposes." But Balls tried to pacify Neave: he said that he wanted the poison to kill rats and that she need not be "afraid" as he would not use it for any "bad purpose." Ball's daughter - Maria Lacey, aged 24 years, died July 1835. The examinations confirmed that Maria Lacey and Maria Green had died as a result of arsenic poisoning. As for the three other bodies, the verdict was left open because the surgeons could not find a definite cause of death. It may well have been arsenical poisoning but the bodies were in an advanced state of decomposition, making it impossible to say for certain. "During the last fifteen or twenty years, he (Jonathan Balls) was principally dependent on his married daughters for subsistence and the supposition is that he poisoned his grandchildren in order that their parents might be better able to support him. That he committed suicide, fearing his crime would be detected, there can be no doubt, for after having administered arsenic to the infant of Pestle (his daughter), and finding the mother was going to have it examined, he became greatly excited, observing his death was near at hand, although he was in a better state of health than usual. Six hours afterwards, he was a corpse." The Lancet, 26 May 1846. The Globe, 12 June 1846.